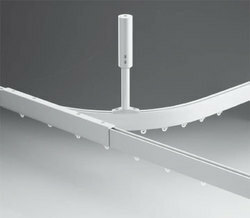 Our product range includes a wide range of fastrack curtain tracks, manual operated curtain track, panel track systems, ripple fold curtain track, motorized curtain tracks and hospital curtain tracks. We Are One Of The Well-Distinguished Companies For Manufacturing, Exporting, Wholesaling, Retailing, Trading, And Importing Of The Wide Assortment Of Fastrack Curtain Tracks. We Are One Of The Well-Distinguished Companies For Manufacturing, Exporting, Wholesaling, Retailing, Trading, And Importing Of The Wide Assortment Of Manual Operated Curtain Track to our clients. 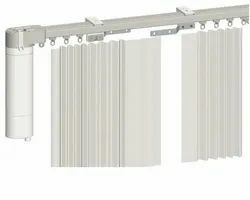 We are offering Panel Track Systems to our clients. We obligated to meet the quality standards as per the customer demand. The curtain is provided with a snap belt. This can then be used to attach the curtain simply to the Swing skids. The slides are continually kept equidistant by means of a clever cord that lies invisibly in the rail. This allows your curtain to drape everywhere in an S-shaped fold, even when the curtain is closed. The curtain can be removed more easily from the skids - for washing, for example. 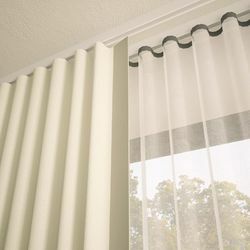 The opaque lining can be installed separately from the curtain and can be washed separately. The click-in skids can even be washed along with the curtains. We Are One Of The Well-Distinguished Companies For Manufacturing, Exporting, Wholesaling, Retailing, Trading, And Importing Of The Wide Assortment Of Motorized Curtain Tracks to our clients. 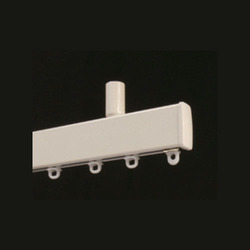 The G-Rail hospital curtain rail has been the industry standard in the health care sector for years. Functional, strong and available with a dust-resistant PVC cover strip. 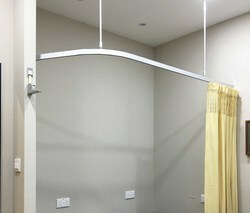 Also available with handy accessories such as the IV rack, IV hook, curtain holder, etc. The rail can be mounted either on the wall or on to the ceiling, of course, so that a solid system can be built. 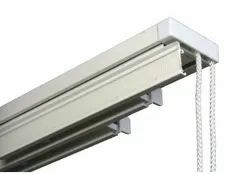 We can install our cubicle curtain track electrically insulated in accordance with the NEN-1010 standard.